Once a car is totaled, burned, or irreparably damaged in a flood, after the tow truck hauls the vehicle away we often think that the car is ready for the junk heap. However, a great many cars are gussied up and resold—and the new buyer is, more often than not, totally unaware of the damage that the car has suffered in its previous life. 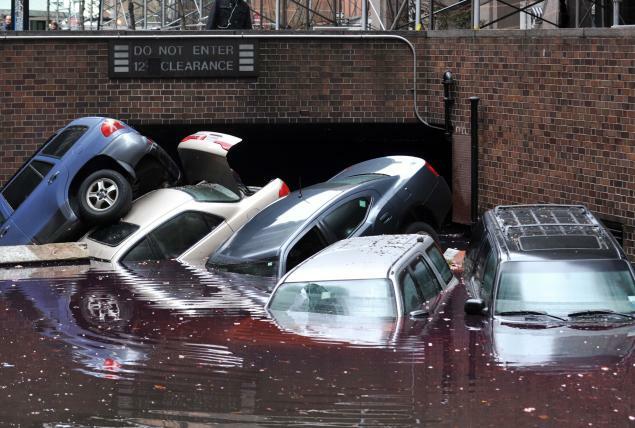 After Hurricane Sandy, there might be a great many more cars headed out to unscrupulous dealerships and unsuspecting American (and even international) driveways—cars that might not be safe to drive. This is not a new activity. 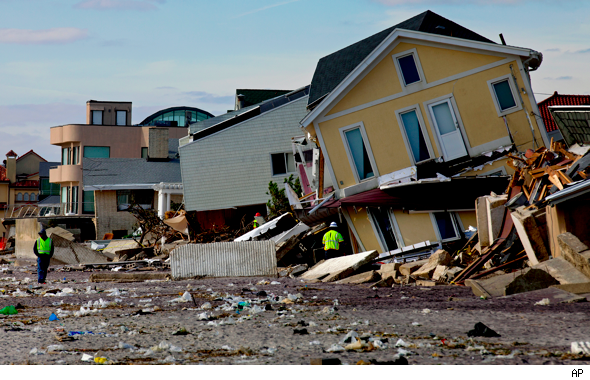 After Hurricane Katrina it was reported that many firms were buying up flood damaged cars and quietly re-titling them and reselling them without ever disclosing the extent of the original damage. Many states have lax car title laws, allowing cars that have been previously branded as flood damaged or “junk” in other regions to have that distinction wiped from its record. This practice, called “title washing,” allows vehicles that have been corroded with salt water, burned or wrecked to enter back into the population. It is slippery and unethical, but since the laws (or lack thereof) are just being circumvented, not broken, the scheme is widespread. Cars that have been flooded with corrosive salt water are commonly believed to never be salvageable, since the electrical components are highly sensitive to salt. People who knowingly sell salt water-flooded vehicles are deliberately turning an unsafe vehicle over to an unsuspecting buyer. Because of the lack of uniformity in vehicle title branding, many companies that specialize in vehicle reports find it difficult to access the true history of a vehicle whose title has been washed. Many uninsured flood vehicles are merely sold for scrap and then resold—without any reporting at all. There is also a large market for used vehicles in other countries, and many of them do not have title requirements at all. Needless to say, be very careful when purchasing a used vehicle. Make sure you are buying from a reputable dealership that is certified for that particular car brand—you want to make sure that the dealer will take responsibility if some component in the vehicle should prove to be in some way damaged. It might be tempting to purchase a car privately, but it is very easy for a seller to totally bypass all of the proper vehicle registration channels. It is unfortunate, but there could be tens of thousands of faulty vehicles circulating throughout the U.S., and until there is some kind of regulation that prevents this kind of fraud, it is something we may have to face after every natural disaster. I once bought a flood car not knowing that it is a flood car. There's so much to replace that you're almost better off buying a new one. If you want to get decent salvaged cars, you should go to Copart or one of their affiliates like Salvage Reseller. They are very transparent when it comes to the condition of the vehicle. It has been some time since I visited website with such high quality information about buy Junk cars. Thank you so much for providing such helpful information. This is really informative and I will for sure refer my friends the same. Thanks.